← Day 8: Kilmainham Gaol. 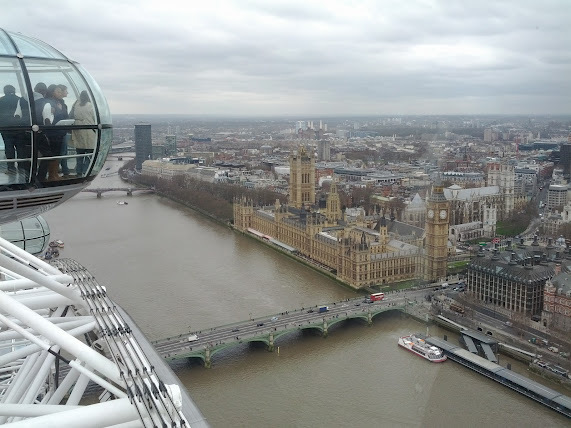 Day 9: The London Eye. 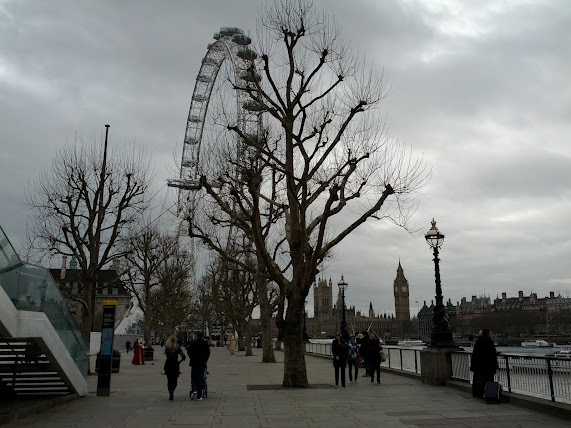 I wrote most of this post listening to the man in black (Johnny Cash) covering U2’s One, while eating a bowl of soup at EAT, after riding the London Eye. Although it was overcast today (aka a clear day in Cork due to the lack of fog), the views were indeed spectacular. I could almost make out the Queen having a cuppa at Westminster Palace. Eye‘ve got my Eye on you, Sistah! (Sorry, couldn’t resist). And then it dawned on me that it wasn’t Buckingham Palace, but, you know, details. Tourist season has not started just yet, so I was able to pretty well walk right into a pod with other voyeurs, the vast majority of whom did not speak a word of English. The wheel turned imperceptibly slowly, but before I knew it, we’d risen to the top, with a clear view of all the Olympic projects that are not yet finished. If you are afraid of heights, I’d say you might actually be alright on this, as there is a bench in the middle of the pod, away from the floor-to-ceiling windows. But maybe not. Like all good tourist attractions, there is a sucker photo opportunity, which, at £10 for one photo, I proudly scoffed and declined. I then made my way to the ‘free’ 4D Experience, which is a short 3D film on which you get wind and rain spewed on you. It was okay. On the way in, you pose for two sucker photos with different green screen backdrops, which are then available to purchase on your way out for £10 for one, or £12 for both. Recognizing the extraordinarily good value, I naturally opted to buy both, as when there’s a deal to be had, I’m in! As an aside, the overall voucher volume has increased significantly of late, in the name of this project… But that’s a story for another day. 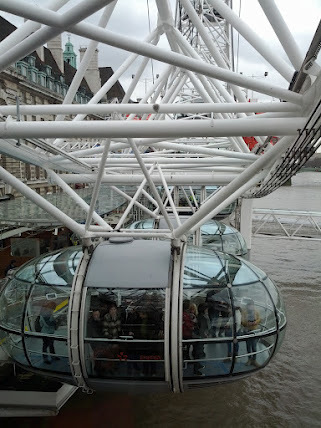 This entry was posted in Fun and Crazy and tagged Crazy, England, ferris wheel, Fun, London, London Eye, March. Bookmark the permalink. 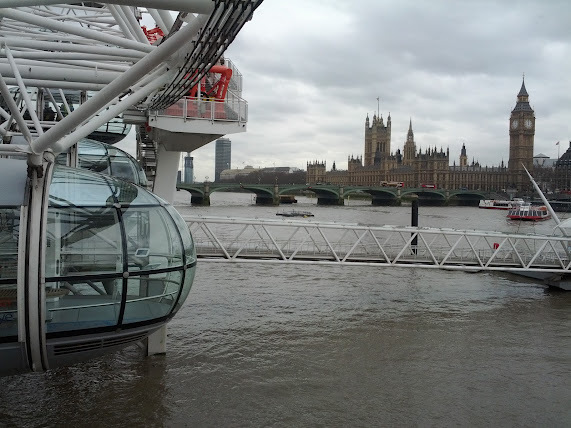 1 Response to Day 9: The London Eye. Dude – you cant leave us hanging without the photos! Whats worng with you SISTA!